Creates high quality motion of computer graphics creatures, characters and objects within a shot, using a variety of animation software programs, and working under the general Supervision of Senior Level and Animation Supervisors. Performs other tasks related to the creation of computer-generated animation. 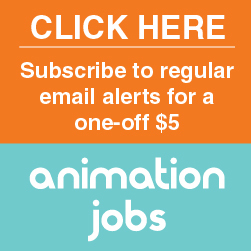 Proven experience working in Computer Animation, Stop-Motion or CEL with experience working on feature films or episodic television. Working knowledge of Maya and other VFX related software programs. Knowledge of UNIX and shell scripting a plus. Knowledge of chaining and constraint techniques. Knowledge of both the CG production pipeline and production processes.